LILONGWE, Jun 6 2012 (IPS) - On-again, off-again… it’s the story of both Malawi’s power supply and the interconnection project that could end blackouts with power imported from neighbouring Mozambique. Malawi’s total demand for power currently stands at 300 megawatts, but the country’s generation capacity is only 266 MW. The shortfall is projected to grow rapidly in a country where the World Bank says only eight percent of the population of 14 million has access to electricity. The Ministry of Energy estimates that the country will need 603 MW by 2015 and 829 MW by 2020. Malawi’s hydro-electric station on the Shire, the country’s largest river, is hampered by siltation and outdated equipment, making the power supply in this Southern Africa country erratic. Daily power cuts can last up to six hours and small and large companies alike struggle in the face of an uncertain power supply. “I can’t wait to see the situation improve. I am putting my hope in this new deal with Mozambique,” said Judith Chilika, who runs a hair salon and a restaurant in Malawi’s capital, Lilongwe. She told IPS her businesses have suffered greatly from frequent blackouts. “I have had to close down both the restaurant and the salon many times due to the power blackouts. I can’t afford to run my stand-by generators for long, because fuel is expensive and there have also been shortages of diesel and petrol for some time now,” said Chilika. Yet plenty of power is available from a dam just across the border in Mozambique. The giant Cahora-Bassa dam was constructed in 1974 and supplies electricity not just to Mozambique, but to neighbouring South Africa. A 2008 proposal – backed by a 200 million dollar package from the World Bank – to buy power from Cahora-Bassa has faced numerous delays. 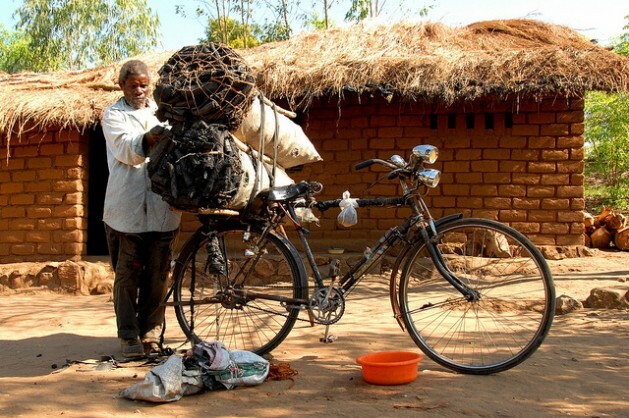 Last year the plan seemed stillborn, when Malawi’s government canned it over cost concerns. But Malawi’s new government, led by Joyce Banda – who assumed power three days after President Bingu wa Mutharika’s death from illness in April– has moved quickly to revive the project. On May 12, Banda’s government signed a memorandum of understanding with Mozambique to again move ahead with the power link. The interconnection plan is directly in line with the Southern African Development Community’s emphasis on cooperation along shared watercourses – exemplifying cooperation for sustainable development, and advancing the SADC agenda of regional integration and poverty alleviation. Energy-pooling is among the strategies employed in implementing the 2003 Revised Protocol on Shared Watercourses, which supports joint development, transmission, and storage of energy to achieve greater reliability, economy and equitable sharing of costs and benefits among riparian states. “The overall objective of the protocol is to foster close and coordinated cooperation in the management, protection and utilisation of shared watercourses and to advance the SADC agenda,” Lopi told IPS. Malawians are cautiously optimistic about news the deal is back on. “We hope we will have a more reliable power supply which will boost our industrial work and help improve Malawi’s economy and alleviate poverty in the country,” said John Kapito, executive director of the Consumer Association of Malawi, the country’s most influential consumer rights body. Kapito said the power outages must end if the country is ever to get back on its feet economically. “This agreement is our biggest hope,” Kapito told IPS. But hopeful consumers and business owners will have to wait for details of the agreement to be finalised, according to Cassim Chilumpha, the country’s energy minister. Chilumpha told Parliament this week that a technical team is yet to go to Mozambique to finalise the process. “We will try as much as possible to speed up the process so that we start benefiting from the new agreement as soon as possible,” he said.